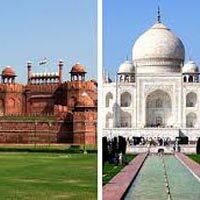 Today your journey continues to another historical and romantic city of Agra. Enroute visit Sikandara - the mausoleum of Emperor Akbar. 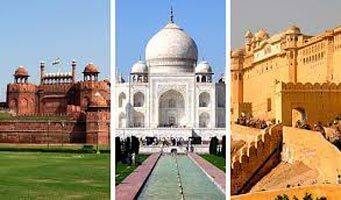 Thereafter proceed to visit Taj Mahal built by Mughal Emperor Shahjahan in 1630 for his beloved Queen Mumtaz Mahal. Continue the tour visiting the Agra Fort containing the Royal residential palaces, the Halls of Public and Private Audience and beautiful gardens. This morning proceed to the Pink City of Jaipur. Enroute visit Fatehpur Sikri - once the capital of Mughal Emperor Akbar. On arrival at Jaipur, check into your hotel. The rest of the day is free to explore this vibrant and colorful city.